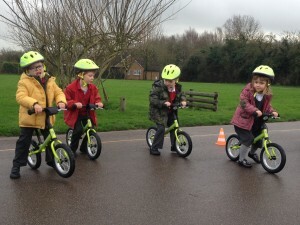 Balanceability is a learn to cycle programme specially designed to teach young children 2 ½ to 6 years old the skills to learn to ride a pedal bike without the use of stabilisers. It promotes the fundamental skill of cycling which is balance. Sensory motor skills – movement is a key part of every child’s development and forms a vital part in facilitating exploration and discovery. Children will respond to sight, sound, touch and develop a kinaesthetic awareness during the sessions. 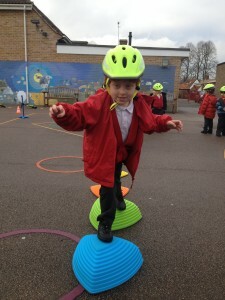 We are delivering balanceability courses in schools with training delivered by fully qualified instructors. Training consists of 6 x 30 min sessions with groups of up to 15 children. There is some flexibility in this though and we can adapt to fit with school timetables and class sizes. 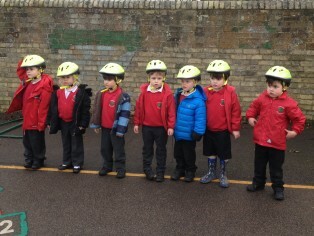 All of the equipment is provided and training is delivered outside on the school playground. We can also help schools who would like to purchase their own bikes and equipment or who would like to train up their own staff to deliver the training. Read more here.